Design with Panache is still up and active, but I will also be blogging away on my new blog here at www.panchedesign.co/blog. 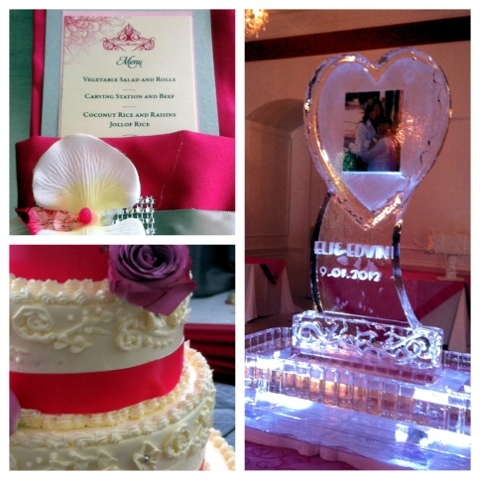 We have been planning this wedding celebration since December 2011! Today the happy couple exchanged their vows in front of 400+ family and friends! Let the party now begin…..
Can you believe that the Holidays are right around the corner? It seems like only yesterday that we were ringing in 2011 and now 2012 is just around the corner. 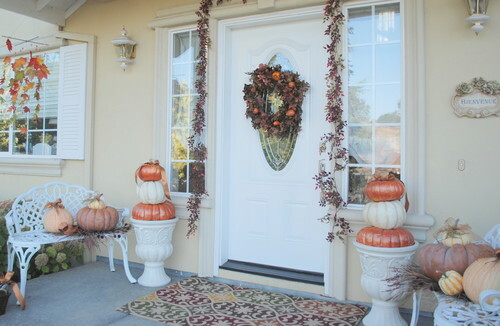 I have already started gathering and planning my home holiday decor to be hung the day after Thanksgiving. And as I shop in all of my favorite places, I’m already seeing the Holiday decorations out on the shelves. So in honor of the upcoming Holiday season – and in celebration and thanks for the Panache Interiors & Events Facebook Fan Page reaching its first milestone of 1200 fans – one lucky winner will receive a $50 VISA Gift Card. Please see the two steps for contest entry below. 1. “Like” the Panache Interiors & Events Facebook Page at www.facebook.com/panacheinteriorsandeventsllc and then post a comment to let me know that you are a new fan. If you are already a fan of Panache Interiors & Events, then post a comment to let me know that you are already a fan. Each entry must have a comment and you may enter once per day. 2. Submit your email address to ljackson597@yahoo.com. I will confirm receipt of your email and respond back to you with a number. That’s it! Both steps must be followed to qualify. 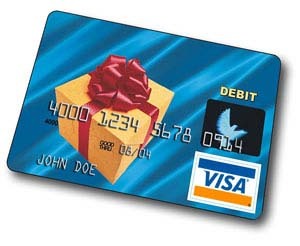 Giveaway starts November 15, 2011 and ends November 29, 2011 at 11pm EST – to allow for the Thanksgiving holiday. The winner will be selected via Random.org and will be announced on November 30, 2011 via Facebook, Twitter, and via my blog. Once the winners number is posted, I will contact them via email. They will have 72 hours to respond. If they fail to respond within the allotted timeframe, a new winner will be selected. Once the winner contacts me, I will request their mailing address and forward their prize to them. You must be 18 years of age to be eligible for the giveaway prize. This contest is only open to residents of the United States. Again, thank you so much for all of your support – I have something even more FAB planned for my next milestone of 1500 fans, so please tell your friends about Panache and encourage them to like my page and enter the giveaway. Good luck!! ~You are only limited by your own imagination! Happy November! Most people think of November as the symbol of the arrival of winter. And with winter comes – the Holiday Season. 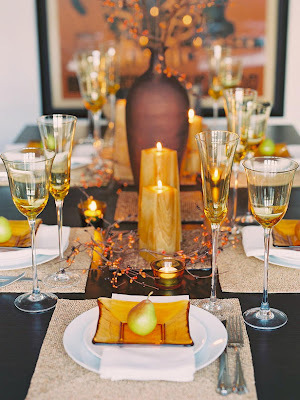 If you are planning to host a family or social event for Holidays, start preparing early! Start hunting for the perfect linens and centerpiece selections now. The Holiday season is all about plush designs that sparkle. So don’t forget to stock up on candles and table jewelry such as charger plates, napkin holders, and the other bling for the tablescape. 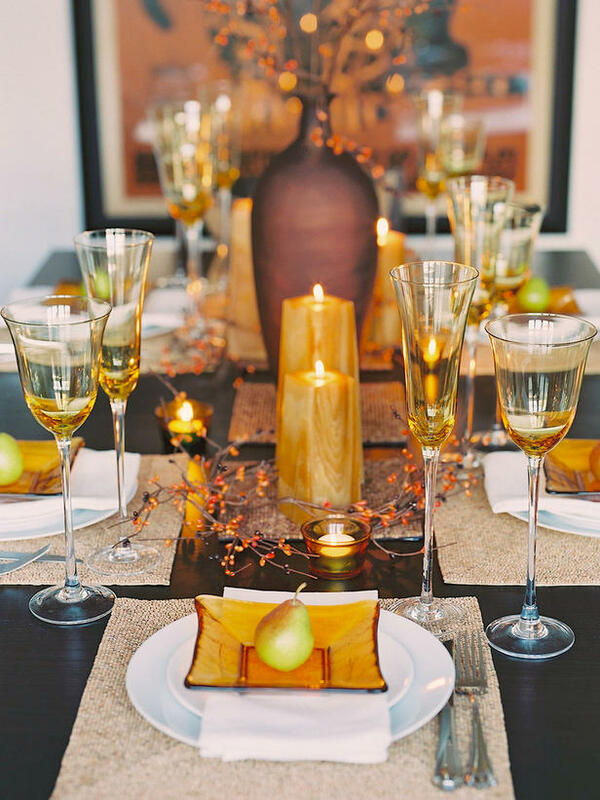 Take a look at these inspiration photos and start dreaming up your perfect Thanksgiving Tablescape early. 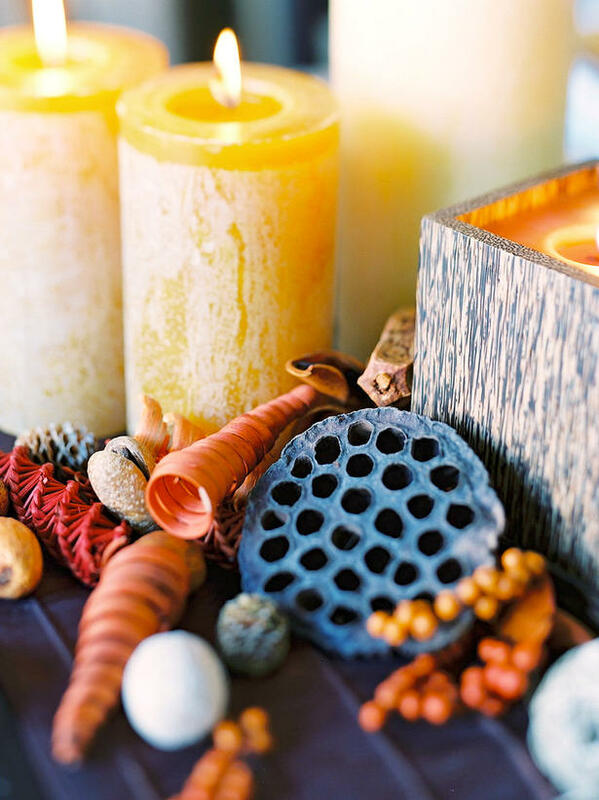 Reds, oranges, rusts, browns, and golds are plentiful this time of year and can be found for inexpensive prices at local homeware shops. 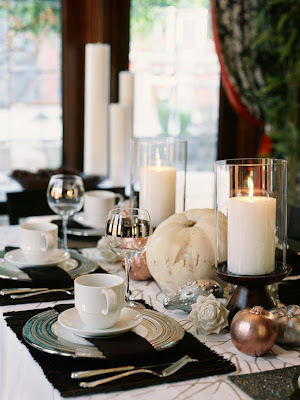 Simple white plates ensure that these Autumn colors are the star of the event. Go ahead – bring the outside in with this beautiful mix of colors! 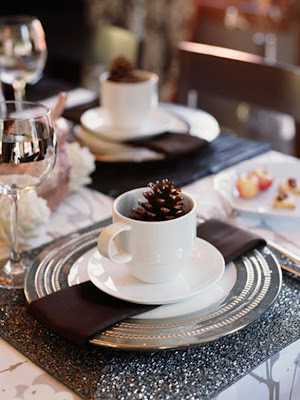 A simple pine cone gives a rustic feel to an otherwise very formal place setting. I really like the contrast! A trick that I always use in event planning – the use of white plates for my base. I have a lot of plates, but I always opt for white plates when entertaining because they allow me the ability to change up table jewelry (plate chargers, linens, silverware, etc.) without having to worry about competing colors. In addition, white plates allow the food to also be the star of the event! What’s the point in creating great dishes (or having great dishes catered) if your guests can’t see them?! Sans the pine cones in this view, the mulitiple gold, bronze, and silver toned centerpiece display is busy – yet it still doesn’t seem to detract from the entire display. 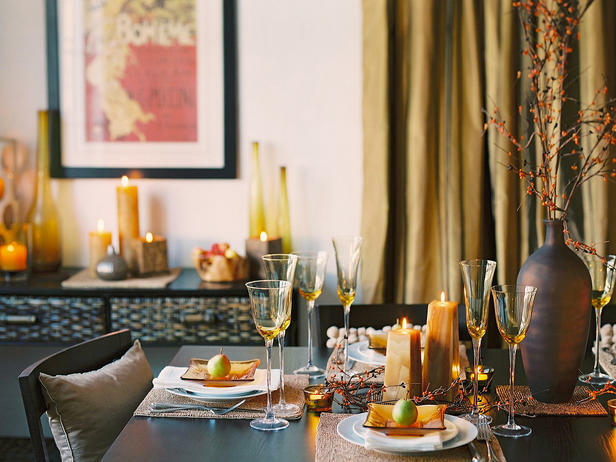 Candle light brings the table to life – you can add height to your table display inexpensively by varying the height of your candles. Don’t just stop at your table! Extend your decor to other areas of the room as well. The buffet continues the holiday theme by featuring a coordinating – yet unique – display all its own! You really don’t have to have a glass or crystal centerpiece to wow your guests at your Holiday event. Simple candles, again in varying heights and also varying styles, can create a gorgeous yet inexpensive table centerpiece that you can use even after the formal party is over and you want something a little more casual. 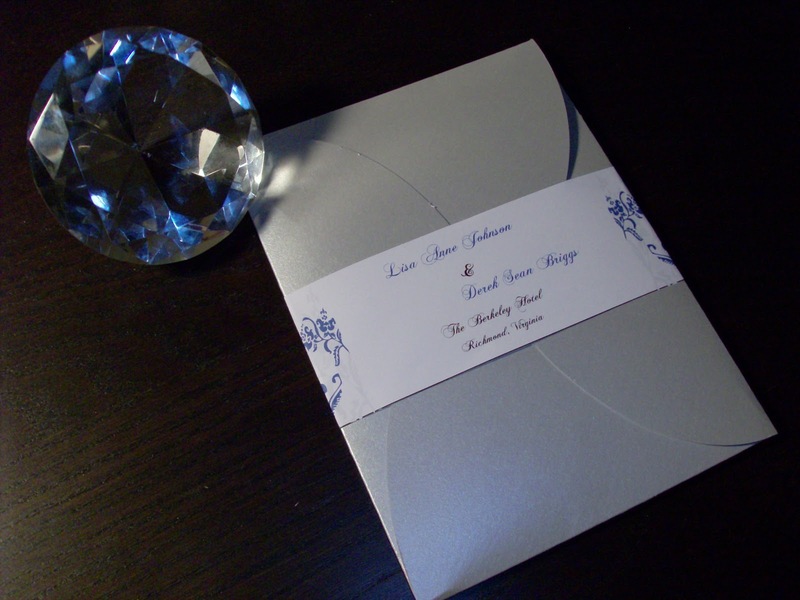 When planning your wedding or next event, don’t forget that your invitation is the first impression that your guests will have of what’s to come. 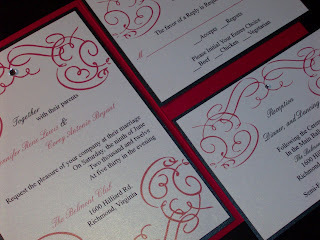 Your invitation sets the tone for your entire event! Panache now offers custom invitations and invitation suites – let’s create an invitation suite that will build anticipation for your event and reflect your personality, too! Check out my Facebook page for more photos! 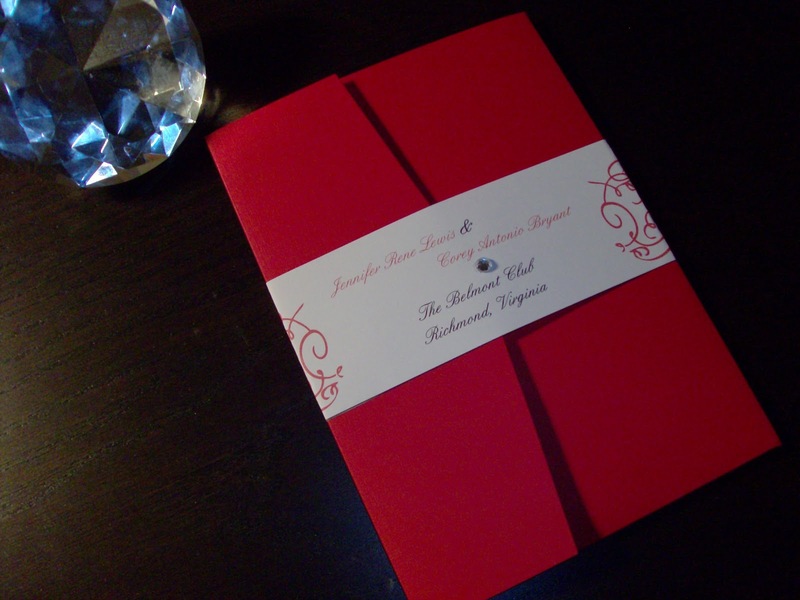 When planning your wedding or next event, don’t forget that your invitation is the first impression that your guests will have of what’s to come. Your invitation sets the tone for your entire event! 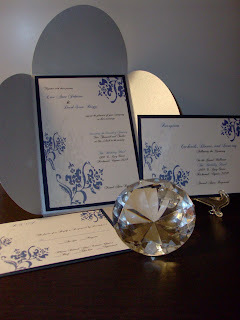 Panache now offers custom invitations and invitation suites – let’s create an invitation suite that will build anticipation for your event and reflect your personality, too! After taking off some time with my husband to celebrate our first wedding anniversary yesterday, I started to reflect back on all of the wedding related errands and shopping that we did leading up to our big day. It is still amazing to me that even though I am a wedding planner, am in total control of my clients projects, and try to remind them to stay calm before the wedding that I still found myself having those same butterflies as every bride-to-be as I waited to walk down the aisle. For a lot of brides, a big source of stress is selecting their wedding gown. I would say that was different for me. I knew in three tries that the high collared trumpet beauty pictured above was MY gown as soon as I put it on. Oh sure, I tried on lots and lots and lots of gowns after that, because just about every gal likes to try on different wedding gowns just to be sure. But I didn’t agonize over my choice and I just instantly knew that Number 3 was MY dress. If you are currently searching for your wedding gown, try not to stress out about it! Instead, try to remember these five signs to let you know when you’ve found THE DRESS. 1) Once you put it on, you don’t want to take it off! – if you find yourself standing on the platform staring in the mirror longer than you did with any other dress you tried on because you absolutely love this dress and, most importantly, how you look in it, then THAT is YOUR dress. 2) Tears start to fall – whether it be yours or someone who may be with you helping you in your selection, if the sight of you in that dress brings happy tears – THAT is YOUR dress. 3) Budget? What budget? – if all of a sudden the price of the dress doesn’t seem to matter and you find yourself thinking of reasonable ways to make the price tag fit your wallet, THAT is YOUR dress. 4) It totally flatters your figure while you party – this is your dress if you know that you can truly enjoy your wedding reception in the dress, meaning you have no restriction of movement allowing you to sit, walk, and dance; and you can go ahead and enjoy that extra glass of champagne since your tummy will, magically, never look puffy. If the gown allows you to be you and flatters your figure all at the same time, THAT is YOUR dress. 5) You can’t stop thinking about it – if you experienced any of the above signs and still didn’t place your order that day but you still find yourself thinking about the dress and a huge smile comes to your face as the thought crosses your mind – run back to that salon, because THAT is YOUR dress. Finding the perfect wedding gown can sometimes be a long process, and it should be! This is the dress that you will wear on one of the most important days of your life. But selecting a gown doesn’t have to cause frustration and/or anxiety. Try to remember the five signs from above and listen to your heart the next time you visit the salon. Remember, YOU will always guide yourself to YOUR dress. 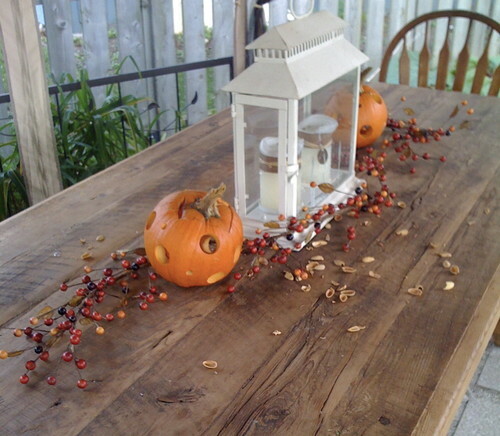 Using all of the colors of the season…..
Another simple design but striking at the same time…. Go all out! 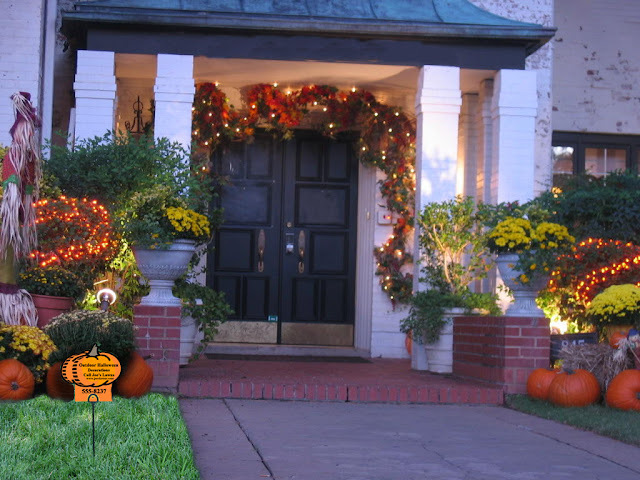 The lights on these homeowner’s Autumn decorations ensure that they can be enjoyed by night as well! 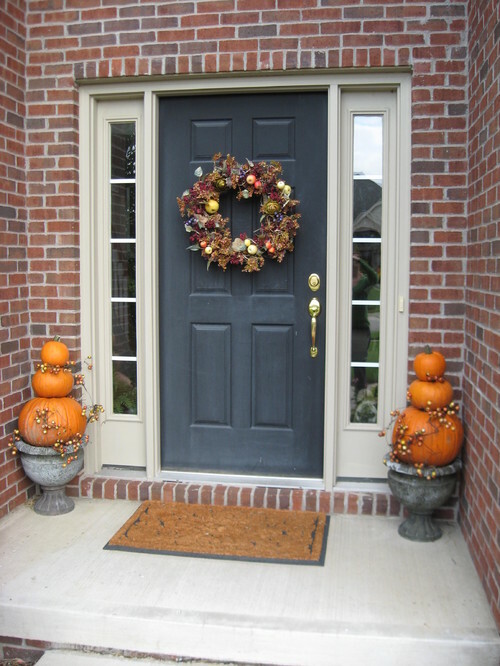 So go ahead, hang that simple wreath or go all out and hang up some decorative lighting to welcome Autumn. 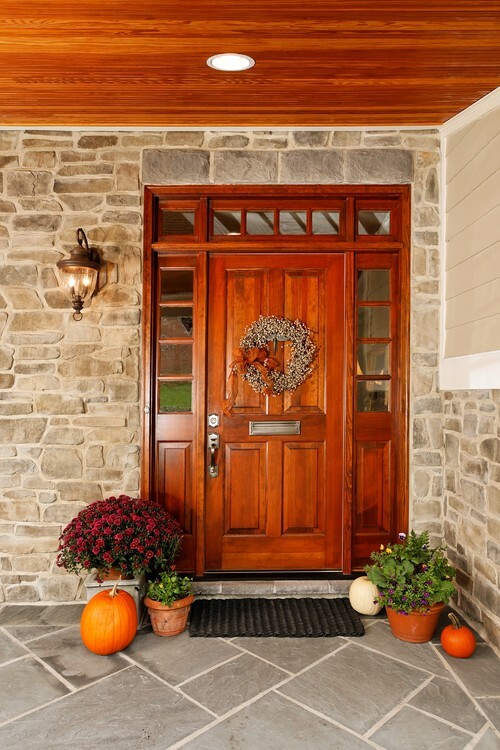 Not only will it bring instant “curb appeal” to your home, but it will also bring a smile to your face and lift your mood, too. One of the things that I love so much about Autumn is the changing of the leaves and vibrancy of the colors during the peak of the season. Seeing the kaleidoscope of burnt oranges, robust reds, and golden harvest yellows that the trees morph into is a sight that I anxiously await all summer. Peak season creates a a picture perfect view of the rich colors of Autumn, no matter if you are viewing the landscape from a tall building or if you are walking along your own street. And sometimes it seems to me that just as fast as the colors peaked; the leaves start to fall, the colors are gone, and I never feel like I had a chance to truly enjoy the best of the season. While browsing through some some photos doing some research for an upcoming outdoor project, I happened across these stunning outdoor living spaces. I’m sure the owners of these spaces make time to enjoy the beauty of the Autumn season. I know I would if I were them! 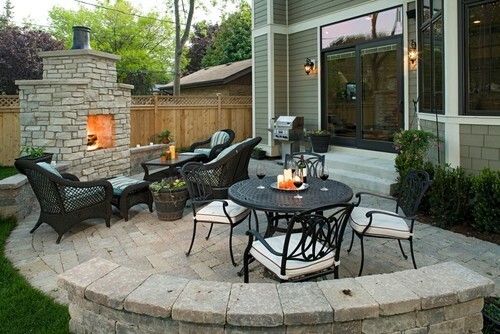 This outdoor space features two fire pits and a fire table – a perfect way to stay cozy even when the temperatures start to dip into the chilly zone. 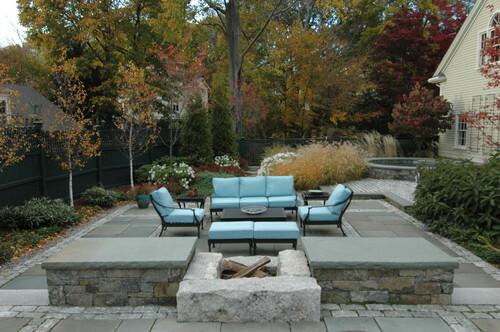 Another outdoor space featuring a fire pit, which is a practical trend for those of us living in the Northeast, so that we can take advantage of our outdoor spaces for as long as possible. This space also has a water fountain – perfect for providing adding a touch of tranquility to your outdoor space. 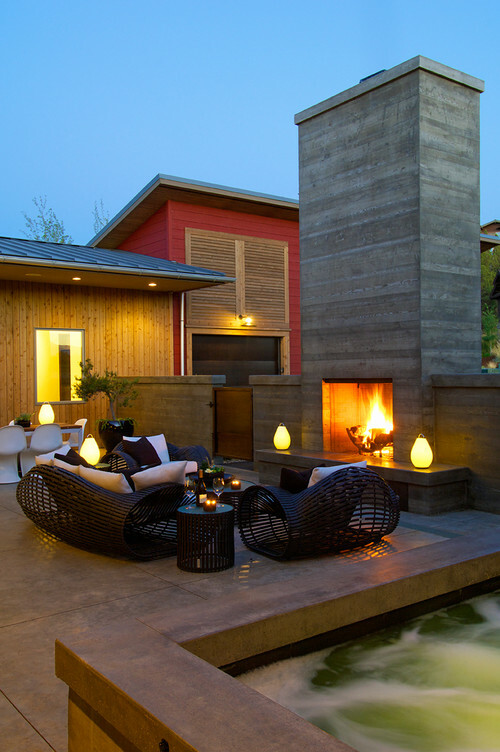 Instead of a fire pit, these home owners opted for a fireplace, and just as with a fireplace inside of your home – an outdoor fireplace automatically becomes the focal point of an outdoor space, too. 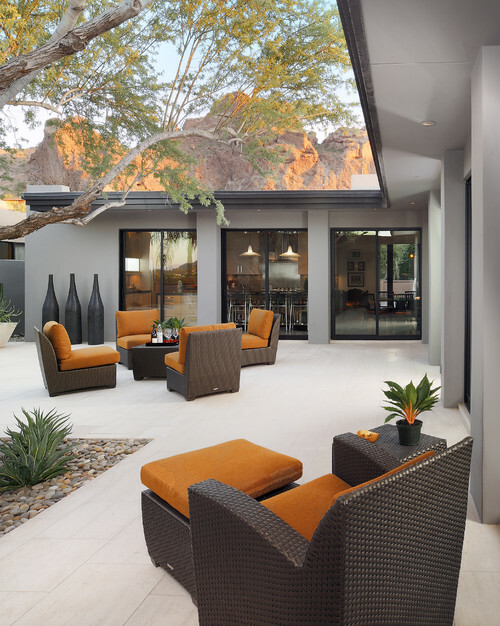 modern patio design by phoenix architect Carson Poetzl, Inc. The simplicity of this outdoor space is its best feature – that and the fact that it can be accessed from multiple sides of the home. No matter where you are in this home, this space invites you to come on out and relax. A lot of people forget about incorporating proper lighting when planning an outdoor living space. This space has all of the lighting bases covered, as general, task and ambient lighting are well represented in this space. 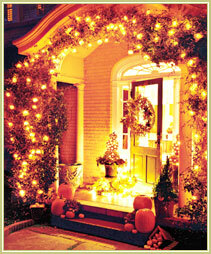 Layered lighting equals more time spent enjoying your outdoor space. 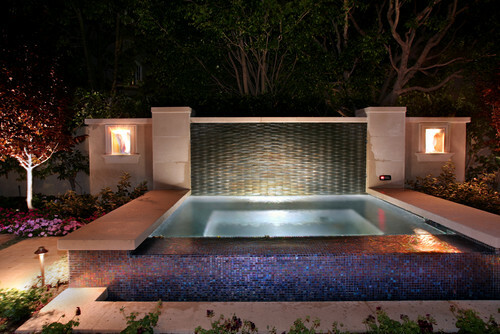 mediterranean pool design by los angeles landscape architect AMS Landscape Design Studios, Inc. I haven’t forgotten about those of us who love our pools. If fire isn’t your thing and you are more preferential to the tranquility of water, how about incorporating a water wall to the back of your pool for some added drama. 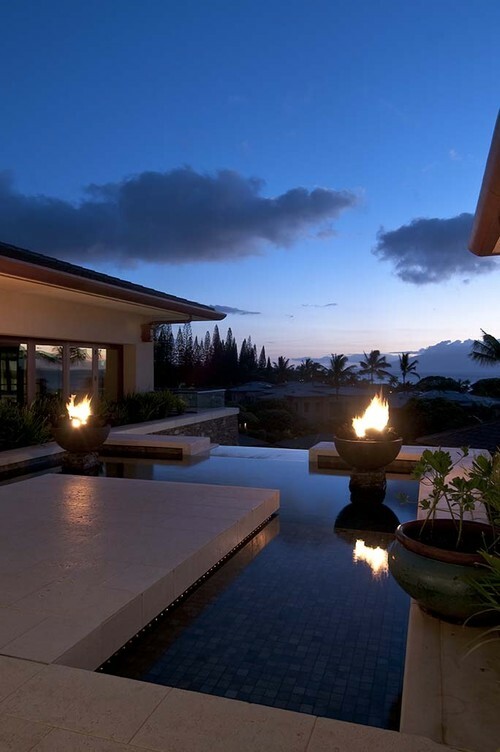 Finally, although this would be a rarity over here on the East Coast – this stunning Hawaiian design brings together the best of both worlds – fire and water! I could definitely see myself in any of these spaces – even if it were only in my dreams. 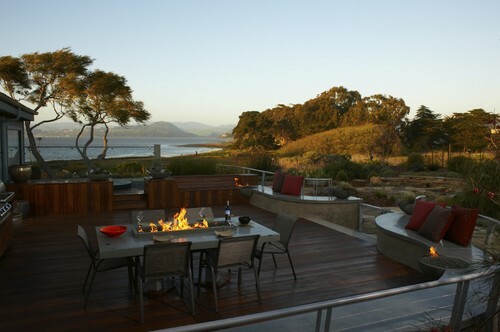 But if you have an outdoor space, don’t miss out on the opportunity to truly enjoy this extension of your home. With the right outdoor furniture, proper lighting, and decor you can turn even a simple patio into an outdoor living space that can be enjoyed by your family year-round, especially for those of you living in warmer climates. If you need any help realizing the potential of your outdoor space, let me know – I would happy to assist you.